Materials covering a surface, usually for the purpose of protecting or decorating it. Roof-covering material, made with a framework (fiberglass, felt) coated with bitumen and covered with fine aggregate. Paper usually stapled directly to the roof or exterior walls, under the covering, in order to enhance impermeability. 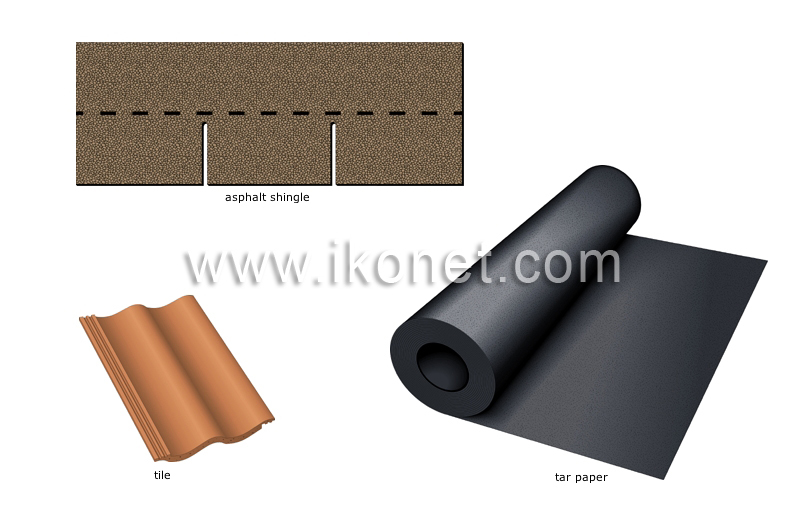 Hard surface, usually made of baked molded clay, used as a covering for roofs.